You can learn everything about making soy sauce. Nowadays, only few craftmen can make those special barrels. 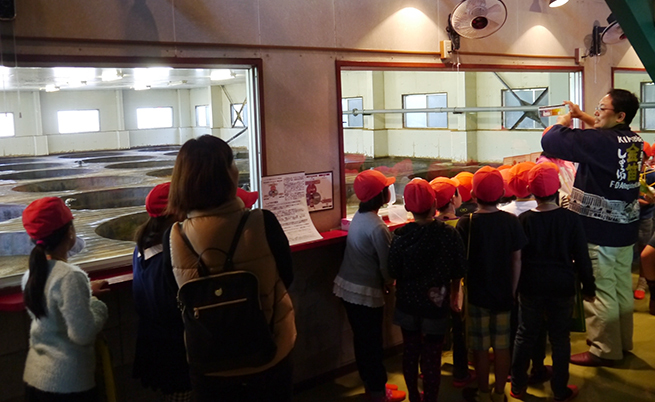 observing how soybeans are steamed and wheat is roasted. Please tell us the desired date and time,and the number of people. 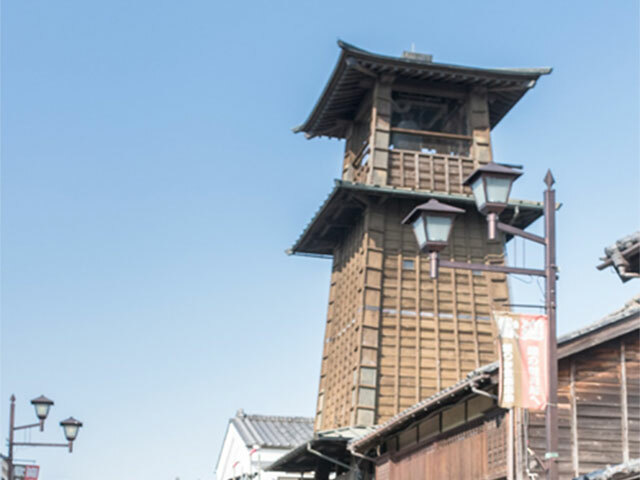 The townscape of warehouse building still remains today in Kawagoe City. The warehouse is a fireproof building,made to prevent the fire from spreading,and this was developed as a format of townhouse in the Edo era. It retains traces of the Edo period. rose tunnel at Heiseinomori park. 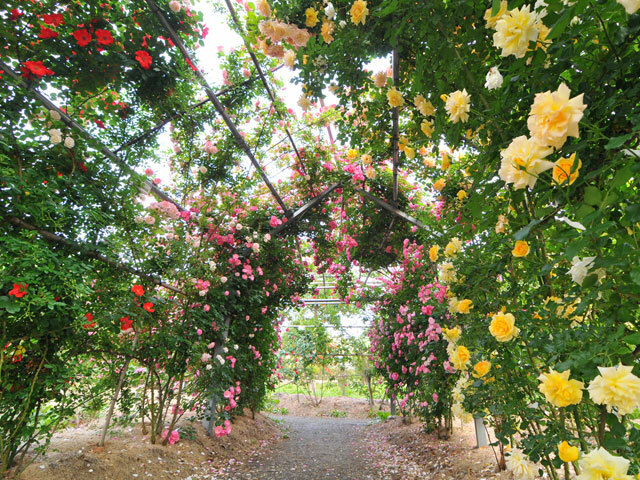 The small diameter of the rose consisting of about 480 tsurubaras and about 60 varieties was approved as “Japan’s longest rose tunnel” with a total length of 340.5 meters. You can enjoy the rose tunnel in the middle of May.